Here’s the perfect “bored at work” project. 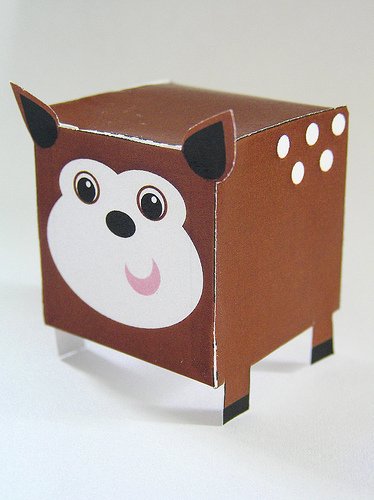 You can download and print this adorable paper deer from enamor. And the best part? If you send Amy a photo of you “Boxie Fawn” at play, you’ll be entered to win 15 percent off coupon to her store and a small surprise. As someone who pre-bought a gnome painting from enamor via DUCF, I’m sure that suprise is going to be really cute. Deadline to enter is Sept. 4. Good luck!